Occupational Risk management should be a continuous process and be in constant development. It is applied to the Organization's strategy and on the implementation of that strategy. It shall examine methodically all the risks inherent in past, present and in particular, in the future activities of an organization. It should be integrated in the culture of the organization with an effective policy and be part of a program led by top management. It should translate the strategy into tactical and operational objectives, assigning responsibilities in risk management throughout the organization, as part of job descriptions. This practice supports the accountability, performance evaluation and respective reward, promoting in this way the operational efficiency at all levels of the organization. In general, no event starts big! Risk management is a central element in any strategy management of any organization. It is the process used by organizations to methodically analyze risks inherent in their activities, aiming at achieving a sustained advantage in each individual activity and in the set of all activities. The central point of a good risk management is the identification and treatment of risks. Its main objective is to add value in a sustained manner to all activities of the organization. It coordinates interpretation of the potential positive and negative aspects of all the factors that may affect the organization. It increases the likelihood of success and reduces both the probability of failure and the uncertainty of obtaining the overall objectives of the organization. The evident and timely contribution of this work is based on the context presented above. 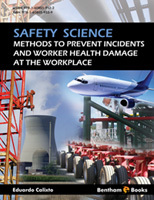 Safety Science: Methods to Prevent incident and health damage in workplace is a book written focused on two main contexts: the corporate and the academic. Firstly, because it is recognized that this is one of the aspects, whose importance in the management of organizations, has been increasing considerably in recent times; secondly, because it is apparent that it has not had the attention it deserved by our schools in general. In the dialectic of the academic context, it will serve as the basis for the formation of the professional competence of higher education students in engineering courses, management and the like. The majority of these courses includes at least one subject related to health and safety management, whose program and content, do not deviate significantly from the general plan of the book. 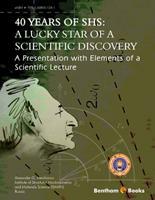 Secondly, in the corporate context, a strong academic background and extensive experience of the author, as doctor in Engineering Sciences, engineer and consultant on several medium and large international companies, allowed the combination of the scientific rigor with pragmatism in the explanation of the various theories here exposed. The book will also be useful for managers, including those engaged in or intend to come to the position of general manager and wish to make a recycling or deeper their general knowledge. As usual in training books, this one was written based on the four fundamental management functions – planning, organization, direction and control – and was divided into 3 parts: qualitative techniques, quantitative techniques, instruments and management standards, which include nine chapters. The first chapter seeks to introduce the reader into the context of occupational risk, focusing on the physical, biological and chemical hazards aspects and also addresses the ergonomic factors, as a necessary knowledge to the understand the global environment of the organization. On the assumption that the study of the planning would be incomplete without a reference to the way to implement it, some chapters were added about techniques and tools in support of the decision-making process. Chapter two to seven present the main qualitative and quantitative tools in the context of risk management, while managerial and technical knowledge necessary, without however, moving the central axis from the State-of-the-art risk management. In order to address the analysis of the human factors related to the culture of organizations and the “engaging” feature in the practice of risk management, a set of methodologies is presented in chapter seventh. It describes the techniques inherent to the Human Factor, among them: Technique for Human Error Rate Prediction (THERP), Operator Action Tree (OAT), Accident Sequence Evaluation Program (ASEP), Social technical Analysis of Human Reliability (STAHR), Standardized Plant Analysis Risk Human Reliability (SPAR-H), Human Error Assessment Reduction technique (HEART) and Bayesian Belief Network analysis (BBN). The main safety standard that support the structure of current management systems throughout the world are presented in the eight chapters. Among these: OHSAS 18001, ISO 31000, a safety case applied to oil and gas industry, EN 51026 (risk management applied to railway industry), a safety case applied to nuclear industry, a key program asset integrity, IEC 61508 (safety integrity level standard). The final chapter addresses Safety and Occupational Health Management. This book aim to discuss the mains methods to prevent incident and employee’s health on workplace. Despite a huge effort from different organizations all over the world is still a challenge to prevent incident and health damages in workplace. The challenge faced are related more to human rather than technological issues. The organizational culture, leadership as well as organizational learning has an important hole in safety and occupational health effectiveness. Indeed those factors are the safety management pillars and also the main problem on most of organization in different industry. Concerning the methods, different approaches are described in this book to prevent incident and health damages like risk assessment, emergency response, incident analysis methods, human factor, safety standards, and safety management. In general terms, such methods are not well applied in many cases due to many reasons like lack of awareness about the importance of risk mitigation, lack of dedicated time to perform better analysis and lack of investment on safety. Unfortunately, many organizational leader do not address their attention to safety into organization which might explain why such major still accident happen nowadays and many health damages are still in high level in many organizations all over the world. Therefore, it’s important to be aware about the best approaches to address to different types of problems on safety as well as to establish a consistent and effective Safety occupational health management which is supported for such methods. By this way, the organizations will be able to achieve high performance and maintain it in long term. Safety is not a matter of indexes, standards and reactive actions. Safety is a preventive culture which is reflected by preventive actions and attitude from all employees in different organizations levels which allow such organizations achieve high performance in long term. The author confirms that this book contents have no conflict of interest of any part. 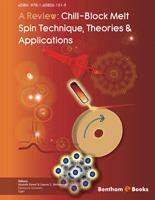 All references are cited in the book and the text was written for the author. I would like to please the high level specialist who contributed with their technical keen remarks and comments about the book chapters. That’s enable me to improve the quality of this book. Thanks a lot for your support.